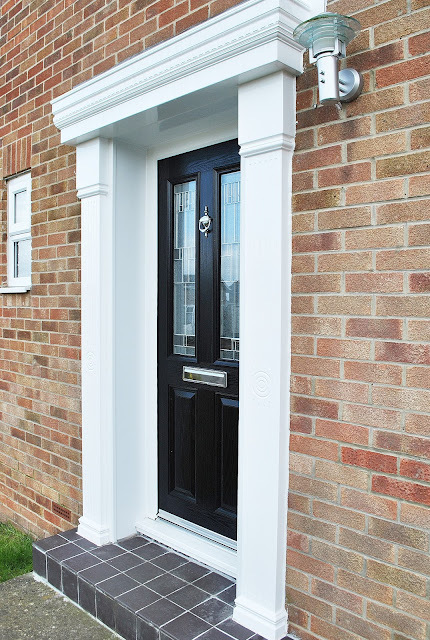 Our Most Popular Composite Door, the Altmore, in Black, with Zinc Prairie Glass Design, Finished off with a beautiful Cambridge Surround Canopy. We think this Canopy really Finishes off this beautiful front door and really transforms the entrance way to this beautiful home. 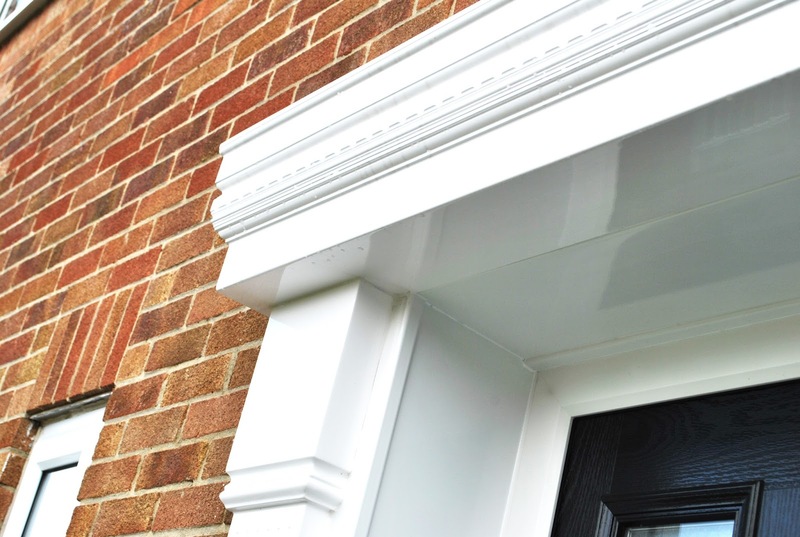 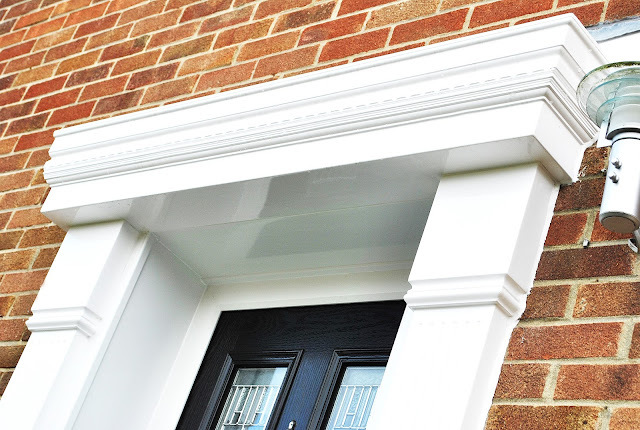 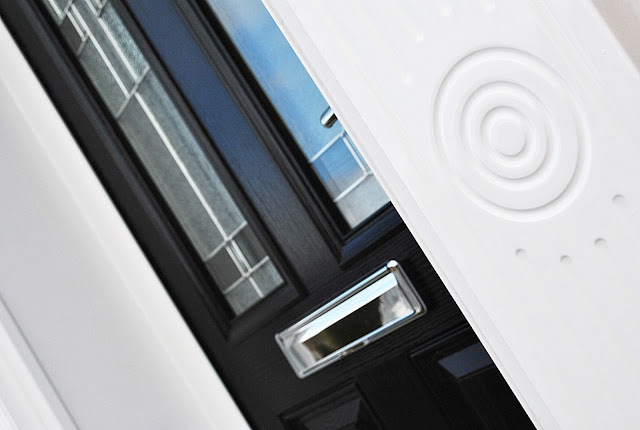 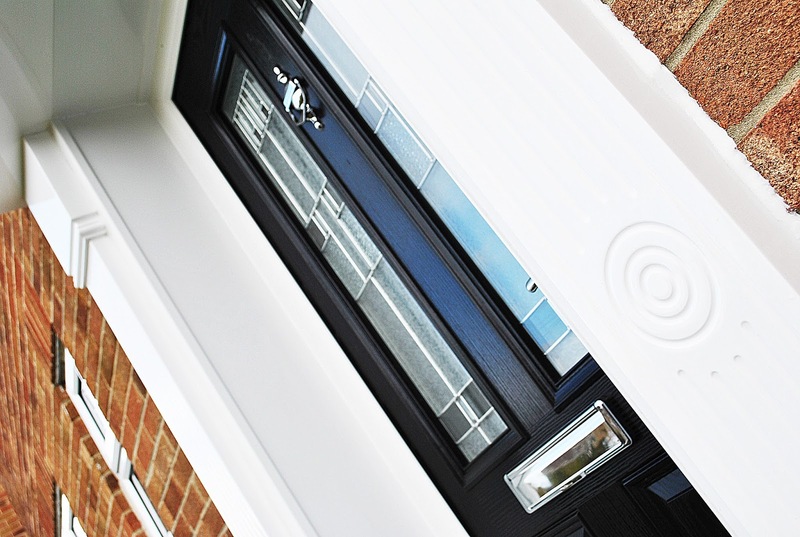 Front Composite door, with Chrome Knocker and Letterbox with UPVC Canopy Surround. 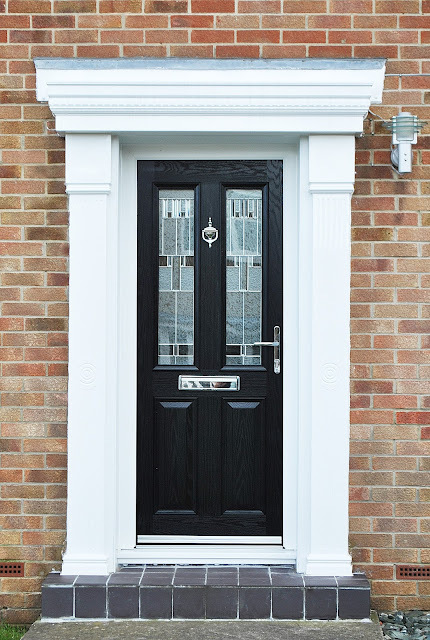 Stunning Surrounding Canopy, and our Most popular Zinc Prairie Composite Door.